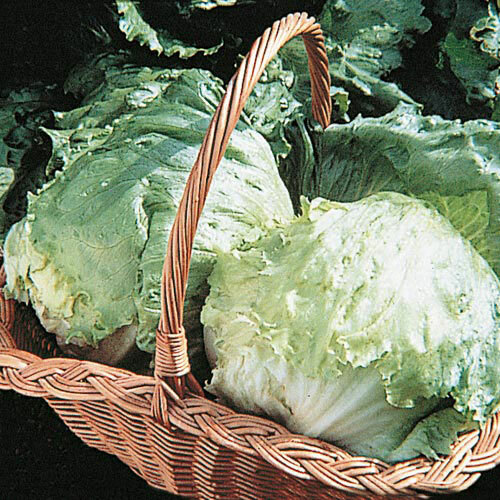 Ithaca Lettuce | Gurney's Seed & Nursery Co.
HeightFirm, well-wrapped heads. 5 1/2 inches across. Spacing5 - 6 inches between plants; 12 - 18 inches between rows. Soil RequirementsWell-drained, fertile, moist soil. CommentsSuperior iceburg type takes the heat. Resists tip burn and brown rib. Is slow to form seed stalks. Popular choice for warm-weather regions. Solid, tightly wrapped heads stay firm, crisp and deliciious. SizeHeads are 5 1/2 inches across. DepthSow 1/8 inch deep into the soil.